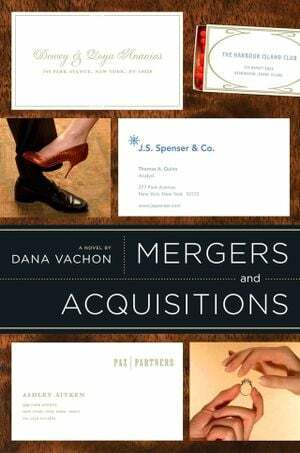 The advent of Dana Vachon on the American literary scene in 2007, with his novel Mergers & Acquisitions (Riverhead, 2007), was a case of spooky synchronicity. His satirical debut novel, a tale of gross financial incompetence and Caligulan excess, may not have explicitly foretold the financial collapse of 2007 and 2008, but with hindsight it certainly had a prophetic air. The book opens at the engagement party for Lauren Schuyler and Roger Thorne, friends of protagonist Tommy Quinn. It takes place at the New York Racquet & Tennis Club on Park Avenue, “the most prosperous street in the most prosperous city in the most prosperous nation that ever lived”. This fairytale cadence sets the tone nicely for a steady procession of grotesques, high-society scrapes, and reversals of fortune. We’re in Bonfire of the Vanities territory here, a world stuck on caps lock characterised by unbelievable quantities of money, unforgivable lapses of basic ethics, and a generation of young men way, way out of their depth. Forty-eight hours without sleep, with dozens of cans of Red Bull, quadruple-shot espressos, and cold sweats […] Makkesh’s heart stopped, and then Makkesh stopped, loosing his considerable weight upon his chair. The Herman Miller Aeron cost a thousand dollars, and was the seat of choice for Wall Street firms. The Aeron had been expertly designed to deal with a full range of body curvatures and preferences, but it was entirely unprepared for the kinetic fallout of a dying overweight banker. The novel is full of lines, like this last one, that take unexpected, often humorous turns. And in doing so, they unveil the absurd system of values in which Tommy finds himself a troubled participant. His girlfriend, Frances, an unhappy observer of the action, withers in direct correlation to the accumulating misdeeds and moral corruption of the rest of the cast, and she eventually attempts suicide. Tommy, caught between the opposing worlds of Roger and Frances, struggles to keep all parts functioning. It’s this tension that drives the plot. Vachon later entered journalism, a path Mergers & Acquisitions suggested he might have a great aptitude for. He does a nice line in gossip-page punnery, for instance, of one character commenting, “Her father was a senator from a flyover state, and you did not need to look beyond her intricately highlighted hair to see her Midwestern roots”. It’s this kind of wit that enlivens his journalism. A one-time guest host on Fox News’s Red Eye w/ Greg Gutfeld, Vachon’s also written for Vanity Fair, The Daily Beast, Salon, Slate, and the New York Observer. After reading Mergers & Acquisitions, in fact, it’s well worth checking out an article he wrote on having lunch at Bear Stearns for Slate back in 2008. “Abandon all hope, ye who lunch here!” he begins, demonstrating the same flair for classicalising real-life financial tragedy that he exhibits in relation to the farcical chicanery of his fictional world. 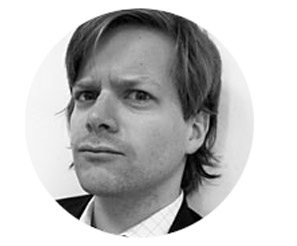 As the late-Roman exorbitance of certain elements of the financial class continues to fascinate us, it’s with great excitement that the House of SpeakEasy awaits Dana Vachon’s guest appearance at “This Is Not A Man” at City Winery on February 24. The show will also feature Steve Coogan, Uma Thurman, Tom Reiss, Susan Minot and Anton Sword. We look forward to seeing you there!